T-shirts are one of the most common apparel items in the world, so it’s more important than ever that your design be vibrant and unique. 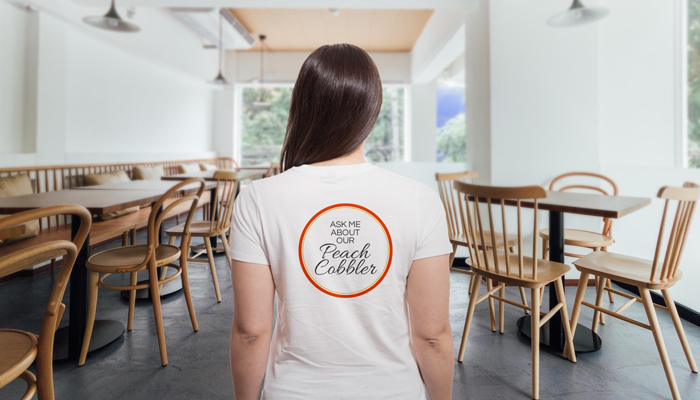 Whether you’re looking to order company shirts, sports team shirts, school shirts, or branded merchandise, we’ve compiled some of our favorite ideas on how you can elevate your next T-shirt from ordinary to conversation-starter. 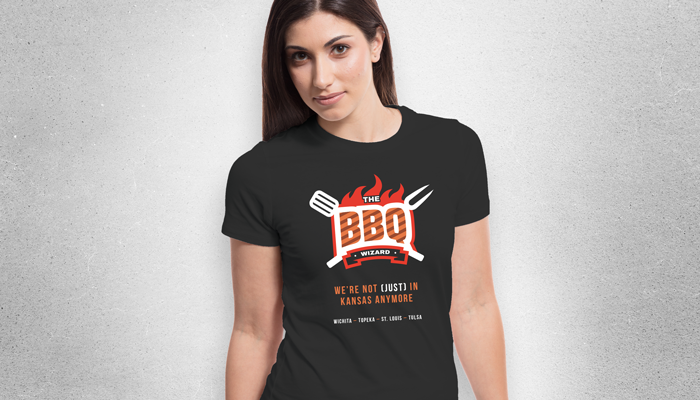 A custom T-shirt is one of the best promotional tools you can create for your company or brand. 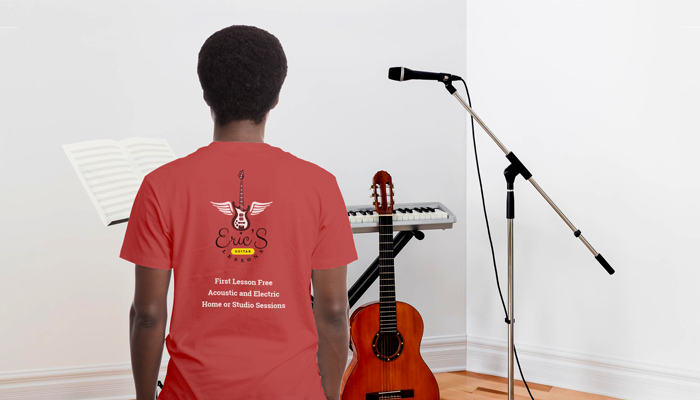 A high-quality shirt that clearly lays out your services and benefits will have potential new clients tapping on your shoulder in no time at all. Asking employees and/or the general public to submit potential designs for your next branded shirt is a fun way to generate interest, increase engagement, and tap into undiscovered talent. Have people vote on their favorite design – the results will probably surprise you! Who doesn’t love a freebie? Gift with purchase is a tried-and-true marketing tactic aimed at increasing average order value (AOV). 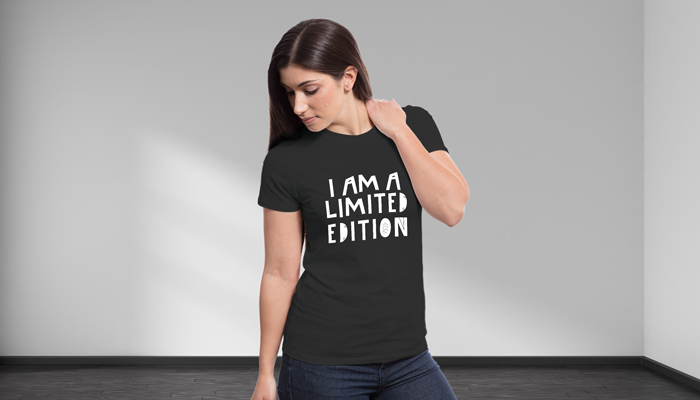 Designing an irresistible premium T-shirt that your customers will covet will encourage larger purchases and promote your brand at the same time. A company’s mission statement sums up its values and purpose in just a few words. 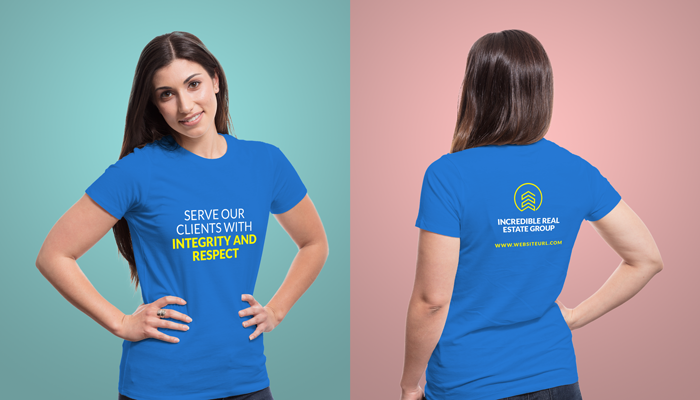 Printing your mission statement on T-shirts is a regular reminder of what sets your company apart from the rest. 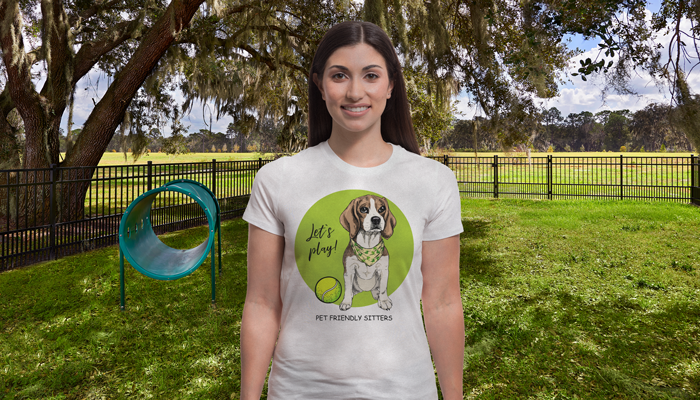 Custom photo shirts are popular for family reunions and company group pictures, but we especially love printing our favorite pet photos on T-shirts, either for ourselves or as gifts. Think about your favorite song lyrics, movie quotes, or comic book characters and how you can tailor them to your business. Those who get the reference will feel more of a kinship toward your brand and want to learn more. No matter what industry you are in, the right use of social media is crucial to increasing awareness. Make it easy for those around you to give you a follow by printing your social media handles on your shirt in big, bold text. One of my favorite restaurants doesn’t have its most popular dish on the menu – rather the employees advertise it right on their shirts! 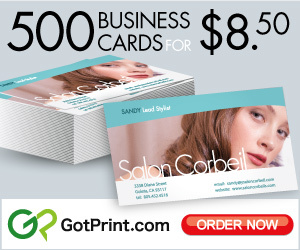 If you’re a business owner, this is an effective way to draw attention to your specialty product or service. 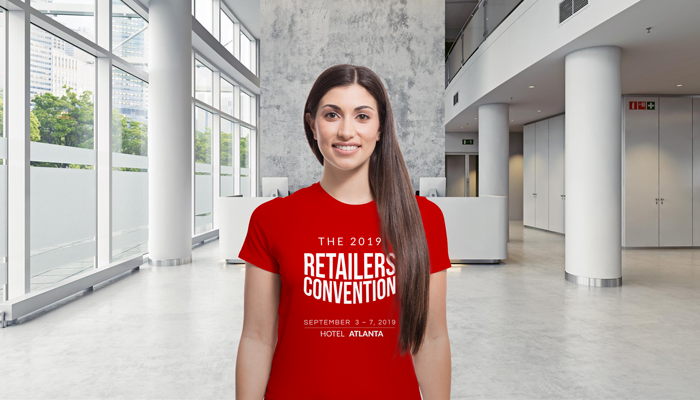 Handing out exclusive shirts at trade shows, work retreats, and conferences is an easy way to make attendees feel welcome and establish a sense of camaraderie. 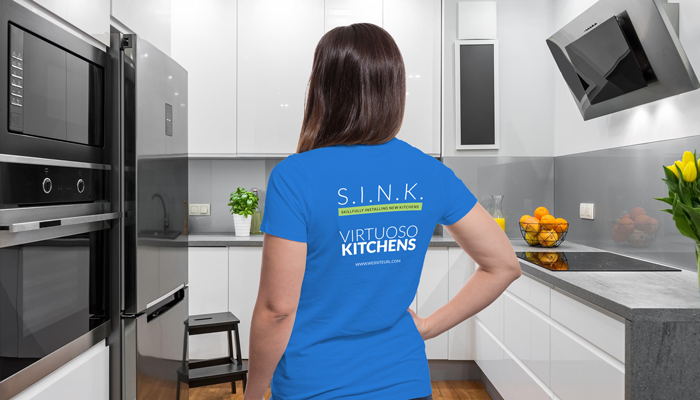 You can even customize the shirts to distinguish between vendors, buyers, and staff. 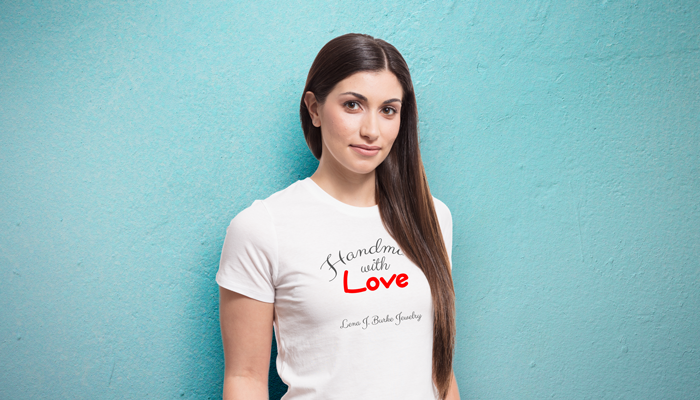 If you run a nonprofit or charity, selling T-shirts is an affordable way to give supporters something practical in return for their donations. Additionally, each time anyone wears your shirt, they are advertising your organization’s name and mission. 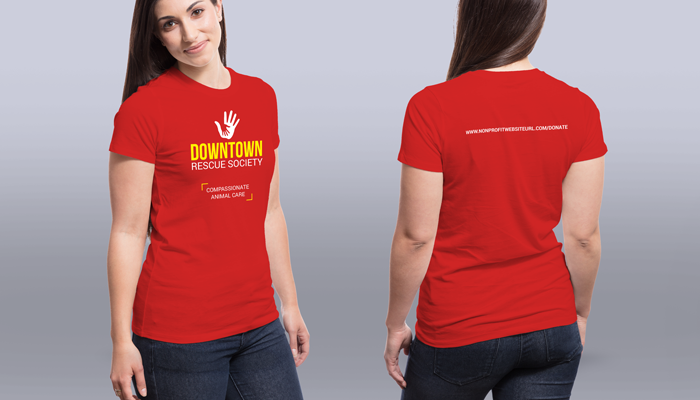 Take advantage of this extra exposure by printing a donation URL on the back of the shirt. 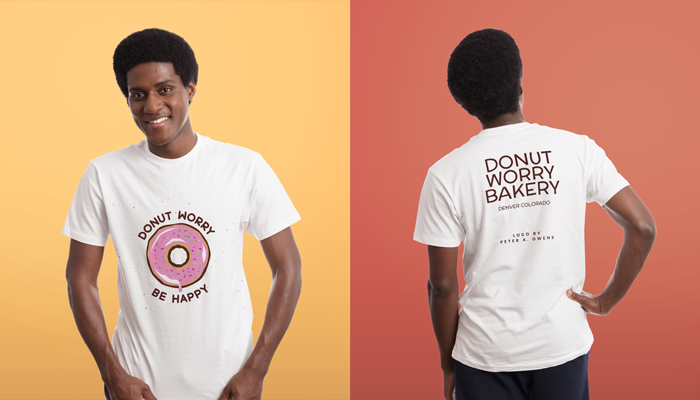 Make customers from around the world feel right at home with T-shirts that reflect your company’s diversity. 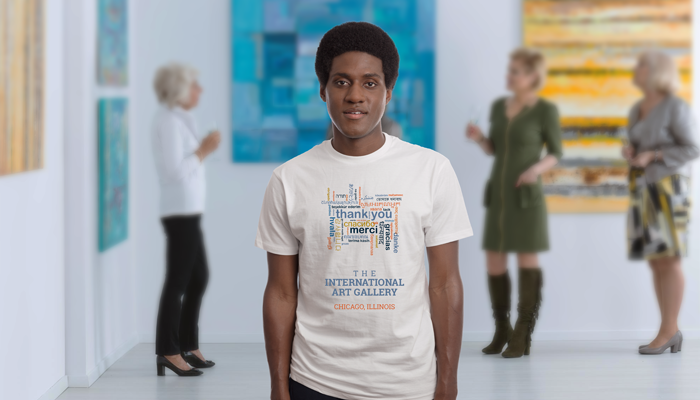 Popular words include hello, welcome, and thank you, but you can personalize your shirts even more by translating your product or service into multiple languages instead. Custom T-shirts can be incredibly useful for children’s parties. Handing out identical party shirts will help you keep track of the guests and help protect their original apparel during the various activities. 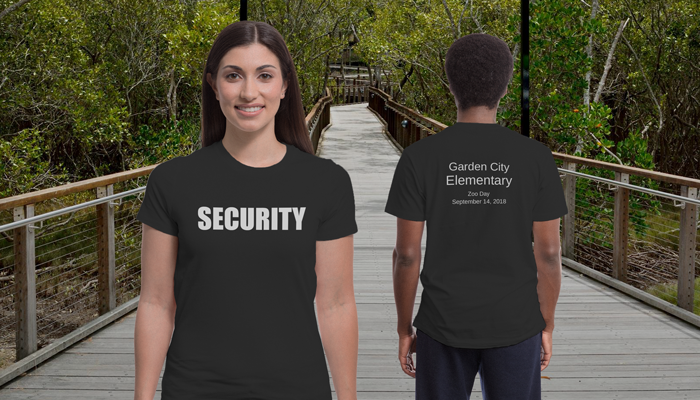 Whether you’re chaperoning a school trip or a house party, a plain T-shirt with the word “SECURITY” boldly emblazoned across the front is a lighthearted way to let people know who’s in charge! These are also a necessity for bars and clubs, amusements parks, and other entertainment venues. 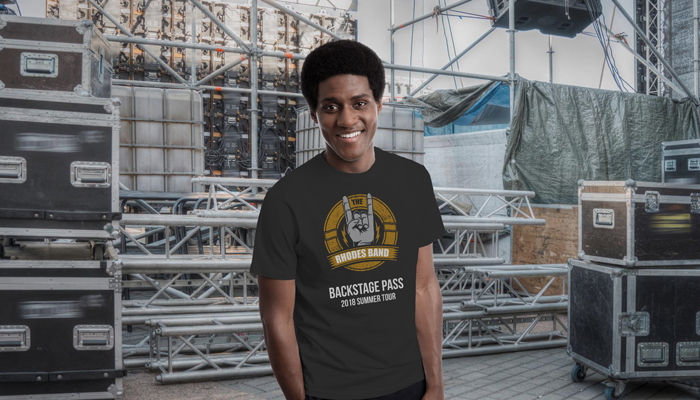 If you’re a musician, follow Led Zeppelin’s example and print up exclusive tour shirts that double as backstage passes for your family, friends, and crew. Once the tour is over, sell any extras as limited-edition souvenirs for your fans! People love learning new and random facts. If you come across a fact or statistic that intrigues you, it will probably be interesting to those around you as well. This is an easy and low-key way to get noticed by potential new customers. 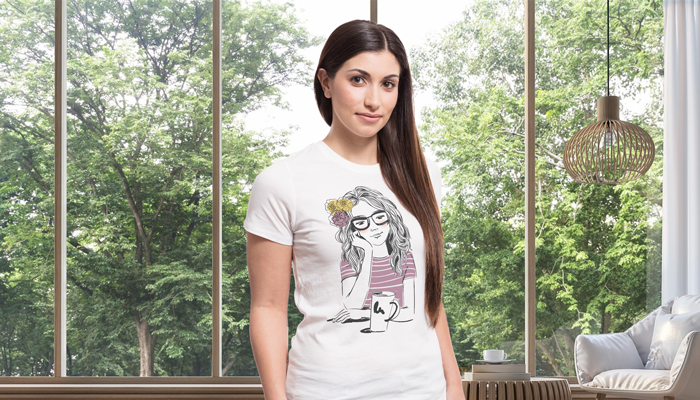 Similar to the interesting fact/statistic shirt, printing a trivia question on your shirt will appeal to curious minds. Increase the chance of a follow-up by posting the answer on your website or social media bio. Don’t be afraid to use the entire print area! An oversized graphic allows you to incorporate much more detail in your design and gives your shirt a soft, artistic feel. A personalized acronym is a clever way to summarize what your company has to offer, especially when you only have a split-second to capture someone’s attention. Printing a short and snappy acronym on your company shirts will make it that much easier to stick in the minds of existing and new customers. 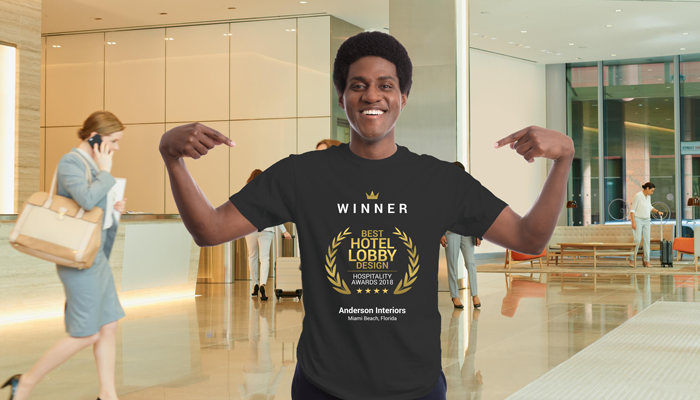 If you or your business received significant acclaim or won a respected industry award, share the good news with specially-made T-shirts! Don’t forget to order extras for your fellow team members – they will appreciate having a tangible reminder of their contributions. 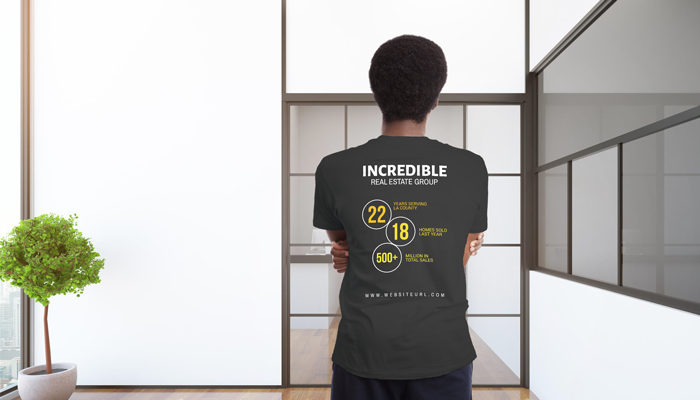 Quickly display your experience and expertise with a custom infographic shirt. You won’t be able to incorporate as much text as you would on a postcard or brochure, so keep the infographic simple and to the point. Show the world that you belong together with complementary T-shirts designed just for the two of you. 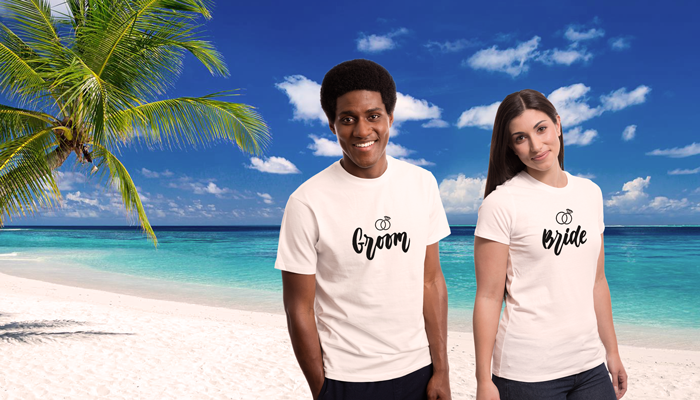 Matching shirts are perfect for engagement photos, honeymoons, date nights, and holidays. Do you have a knack for hand-drawing illustrations or caricatures? Rather than setting up shop on a nearby beach, allow people to order custom shirts from you instead. This will also make a charming personalized gift for everyone on your holiday list. There’s no sense in creating a T-shirt no one will wear, so increase your shirt’s appeal by making people laugh. 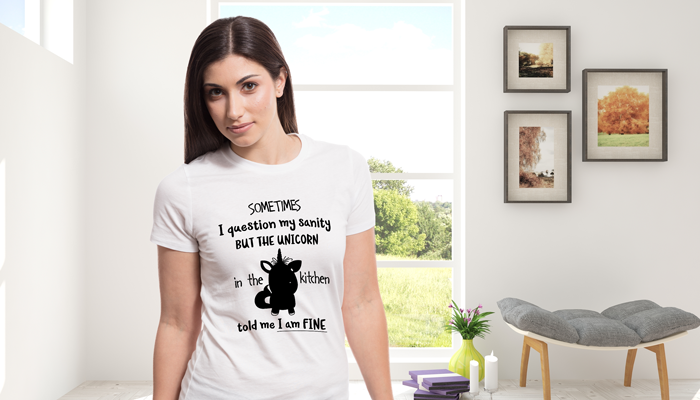 Whether you print a joke, meme or quirky optical illusion, a funny T-shirt will lift the spirits of those around you. 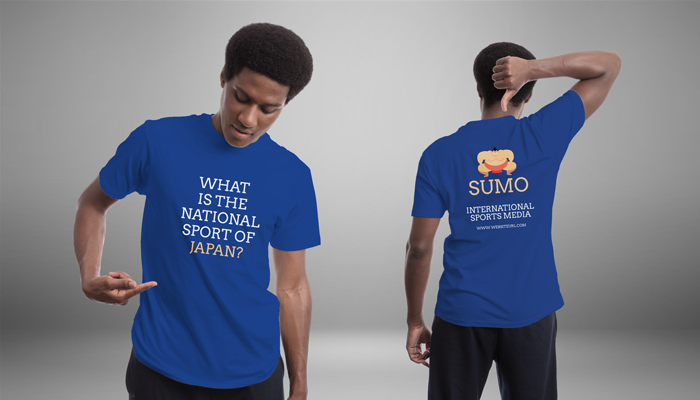 If your brand has a loyal fan base, they’ll jump at the chance to collect a limited-edition series of T-shirts. Make these shirts extra special by incorporating autographs, fan art, or other elements that normally wouldn’t be found in your merchandise. If you need dozens of shirts, it can be cost-prohibitive to personalize each individual shirt. So why not let the recipients do that instead? 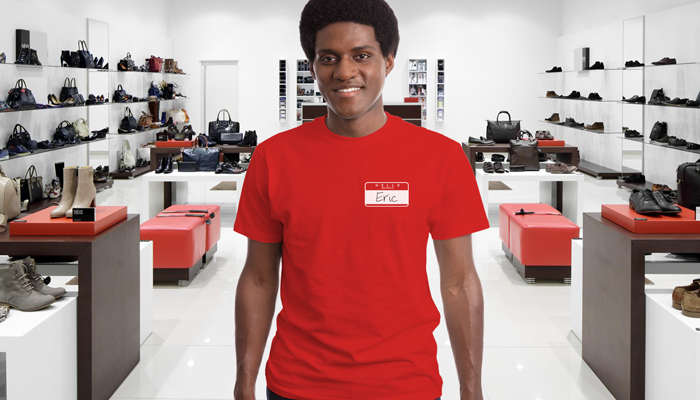 Printing a question or name tag graphic on a shirt and asking team members to fill in the blanks allows them to incorporate their own personalities into the design. Feeling inspired? 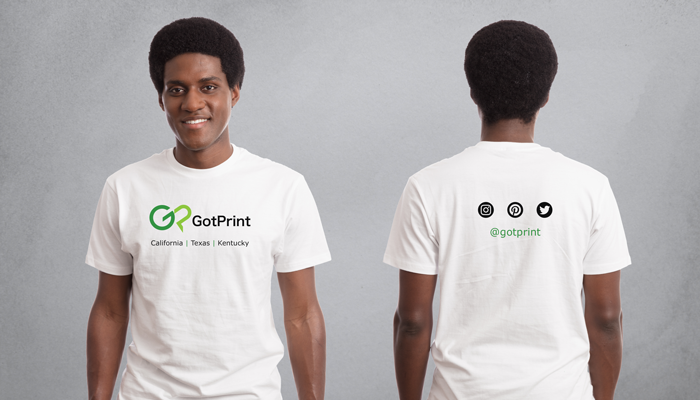 Then check out GotPrint’s collection of premium custom-printed T-shirts for men, women, youth, and toddlers. Multiple sizes and colors available – shop now! These are great ideas for a t-shirt logo. You could also add some personal style to it also.